A detail from a new illustration of my street. 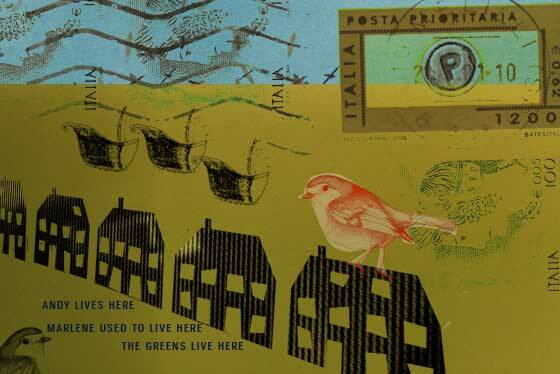 It includes studies of the birds I regularly see in my garden and postal messages from across the sea. It is part of a series of new work I am creating for the Hertford Vintage Fayre in early February. The process of drawing provides a welcome relief from lecture preparation. A happy way to spend my evening. This entry was posted in French & Godbold, Illustration and tagged artist, birds, contentment, drawing. Bookmark the permalink.